Is headache and blurry vision associated to each other? There are several factors that causes blurred vision in an individual such as but not limited to eye diseases, eye trauma, head injuries, and even some causes which cause blurry vision along with headaches like raised eye pressure or raised intracranial pressure etc. Headache and blurry vision can be closely linked. Blurry vision denotes losing sharpness of vision, because of which patient is unable to see the finer details of the object. There are number of reasons to why a person experiences blurry vision. Different eye diseases such as cataract, glaucoma, macular degeneration, peripheral neuropathy, corneal abrasion, eye infection or vitreous haemorrhage etc can lead to blurred vision.. 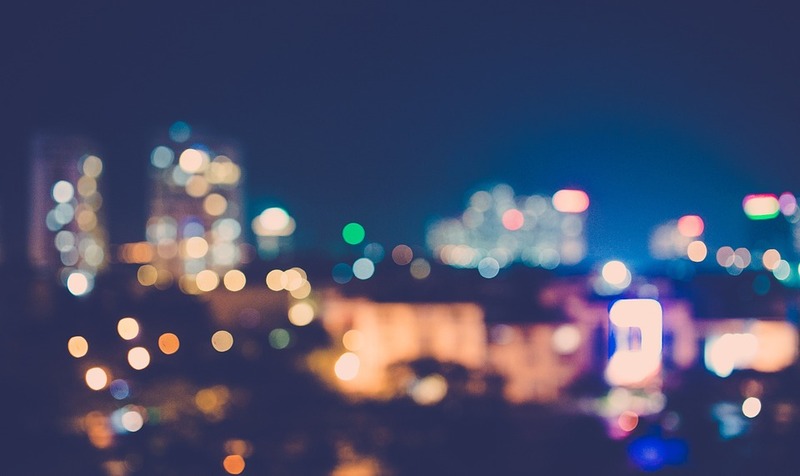 Depending upon the causative factor, blurry vision can occur in one or in both eyes. Further, there are also other conditions, which do not involve our eyes directly likemigraine or stroke. When migraine occurs with aura and visual signs it is designated as “ocular migraine”. Migraine is one of the common forms of headache, which can also be associated with blurred vision. Patients who experience blurry vision in one or both the eyes with headache may also show signs of ear problems. Several people who suffer from migraine related headache also have another related issue - seeing spots. Even before or after the migraine attack, people complain of seeing spots of different shapes. Light flashes may also appear during a migraine. Sometimes, severe migraines can also cause temporary vision loss and double vision. It is good idea to consult an eye doctor to ensure that you are not suffering from other conditions that could cause similar symptoms. Diseases like retinal artery spasm, auto-immune diseases, drug abuse etc needs to be ruled out. Ocular migraine symptoms are temporary and subside by themselves after 30 minutes or so. So, in most cases no eye treatment is needed. It is recommended that person should rest while the attack lasts and can take pain killers if associated headache is severe. In rare cases depending on the severity doctor may advise some other medications for the migraine associated with temporary blurry vision or other symptoms like flashes, black spots etc. In conclusion, blurred vision and headache can occur together. It is recommended to get an eye check-up done and rule out more serious causes of the same. Advanced Eye Hospital Navi Mumbai in Navi Mumbai is one of the best eye hospitals in Mumbai. Outpatient areas and Operation theatres are state-of-art and equipped with the best diagnostic and surgery machines. Personalised care, infection free modular operation theatres and beautiful ambience compliment the cutting-edge eye care offered at AEHI. 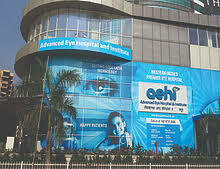 Besides treating patients from Kharghar, Sanapda, Nerul, Vashi and Panvel, patients from all over western India travel to AEHI for world class eye care.